Nothing is as frustrating as working hard to perfectly manicure a lawn, garden or pasture and then having to fight with uprooting a stubborn tree stump. It makes no difference whether a tree has fallen because of a storm or it was rotten, or if the tree was removed because it was in the way. 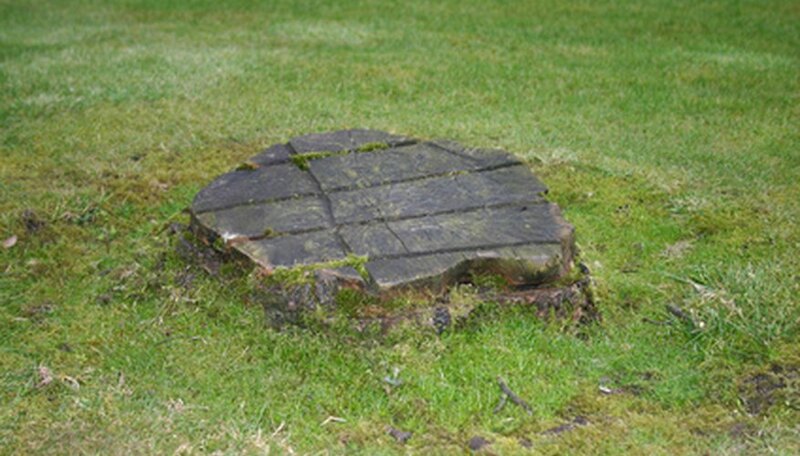 Whatever the reason you need a tree stump removed, it cannot be uprooted unless extreme means are used. This should be done with the utmost of care. Write DANGER in large letters all across the rope with a clear thick marker. Rope off the area where you are going to blast the tree truck. Make sure you rope it off at least 30 yards all around the tree trunk that will be the blast site. Drill out the surface of the empty CO2 cartridge. You should have only the very shell left when you are finished. Do not drill through the sides of the cartridge. Make sure you do not puncture any area of the cartridge shell. Put on safety gear and read the directions of the black powder or blasting container before proceeding. Fill the cartridge with the black powder using a small funnel. Tamp it down as you put the powder into the cartridge. Insert a very long sparkler into the top of the filled cartridge. Make sure about 1/4 of the actual sparkler is beneath the powder. This will be your fuse. Place the cartridge with the sparkler inside an aluminum can with the top and bottom removed. Drill a hole in the center of the tree stump large enough to insert the cartridge in the can. Do not drill too wide, but the deeper the hole, the better the blast will work. However, make sure you can reach the top of the sparkler that is the fuse easily. Don your earplugs or headset. Ignite the sparkler (fuse) and run to a place of safety far from the roped-off area. The blast should clear away most of the visible part of the tree stump. If you need to do it again, use all the safety precautions as the first time. If your tree stump is small, use a small CO2 container. Increase the size proportionally to the size and depth of the stump. Tell If a Black Walnut Is Good or Bad?